Just look at this car. It looks like it belongs in the Jetsons or one of those ‘world of tomorrow’ articles in a 1950’s edition of Popular Mechanics. There is also something unmistakeably French about it. 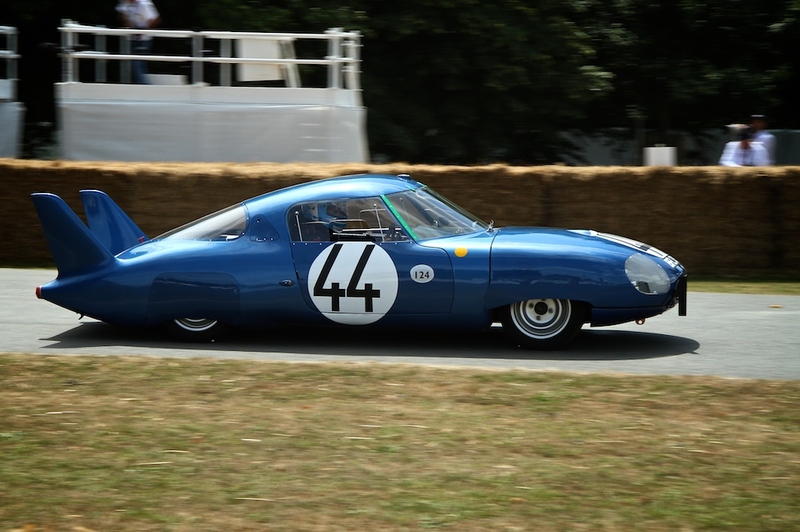 In fact it is a Panhard CD from 1964 and it was designed to take on the Ferraris, Cobras and Fords at Le Mans. It was one of the most technically advanced cars ever built, employing aerodynamics that were years ahead of its time. Unfortunately it failed to finish the race. Panhard now makes military vehicles. This was just one of the fabulous cars I saw at the Goodwood Festival of Speed the other week. It was the first time I had been but if you have even the slightest interest in racing cars I thoroughly recommend it. I made a little video of some of the pictures I took. If you want to see more, check out the gallery.